California Coast Wildflowers On Cliffs Ap is a painting by Dan Carmichael which was uploaded on July 25th, 2016. 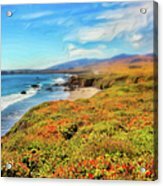 Wildflowers growing on the cliff tops along the California Coast. This picture was taken in June. 1138. 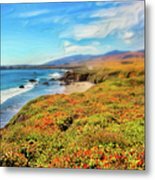 Available as a fine art photography print and as an original painting, a hand-crafted painted photo. Be sure to use the high resolution tool to view the brush strokes / canvas in the painting. Original art for decorating from fine art photographer and artist Dan Carmichael. 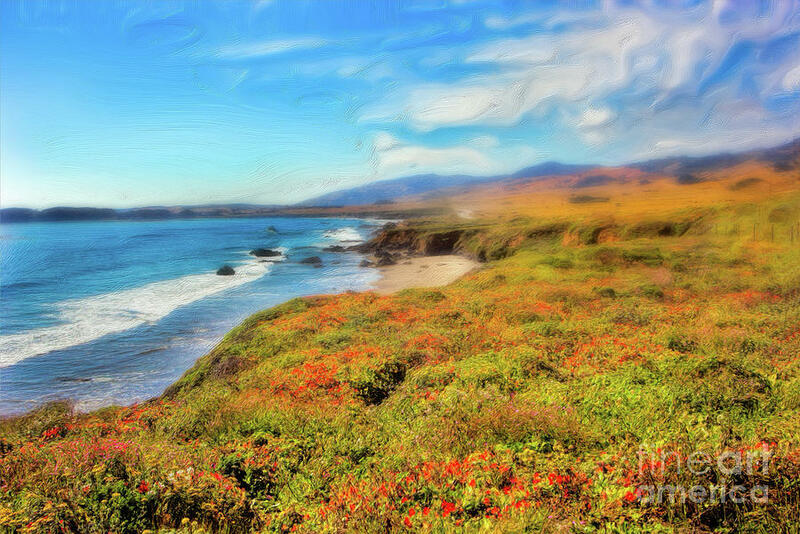 #photography #painting #homedecor #fineart This is the fine art painting version. 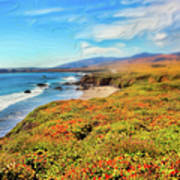 There are no comments for California Coast Wildflowers On Cliffs Ap. Click here to post the first comment.